Henry David Thoreau wrote, "Our little mountain-ash is all alive with [birds.] A dozen robins on it at once ... plucking the berries... A robin will swallow half a dozen berries, at least, in rapid succession..." If you, too, enjoy watching birds eat berries, then consider planting trees and shrubs that produce berries to attract birds (like this American Robin) to your garden. Learn more about "Garden Basics" at Audubon.org. 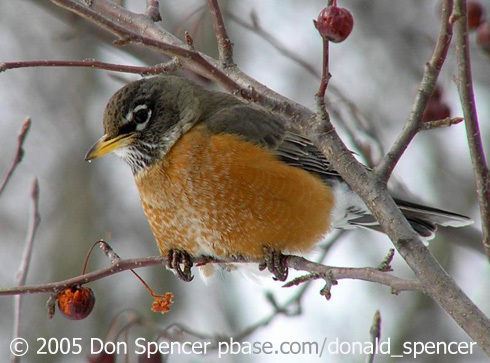 In fall, large numbers of American Robins and sleek, handsome Cedar Waxwings consume fruits and berries. 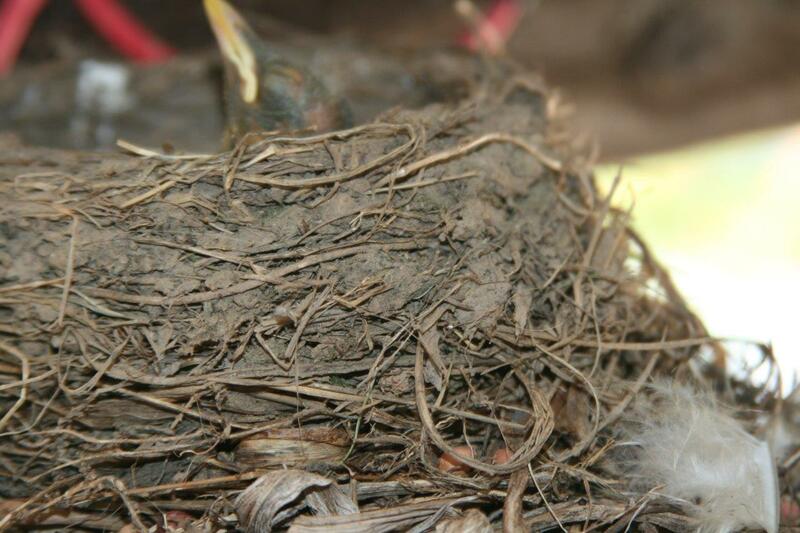 They can strip a pyracantha bush of its fruit, consume holly berries, and peck away at apples. By consuming these fruits, they also contribute to the dispersal of the plants, voiding the seeds as they move about the countryside. 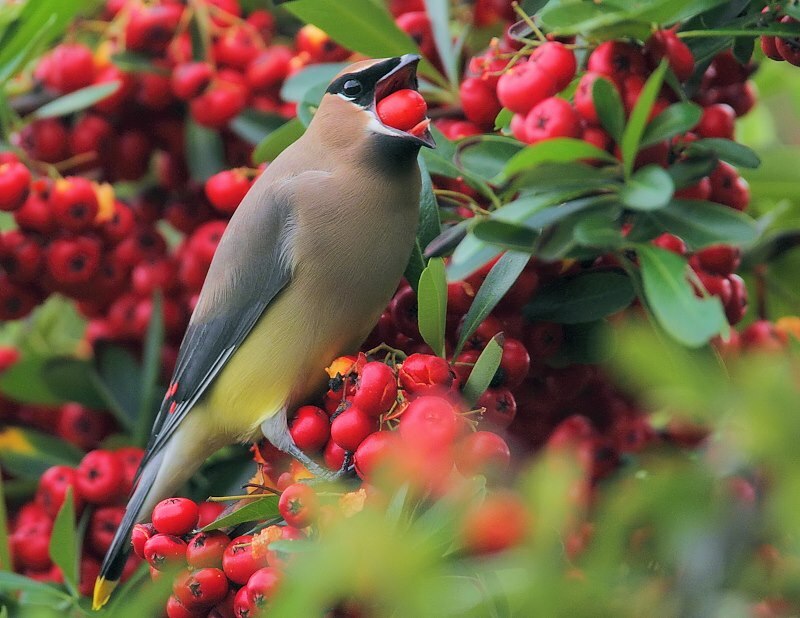 Some berry-eating birds may become intoxicated with ripened fruits that contain alcohol. When they do, they may flounder on the ground or even collide with windows. Thanks for listening. I’m Michael Stein. You’ll find us at birdnote.org. 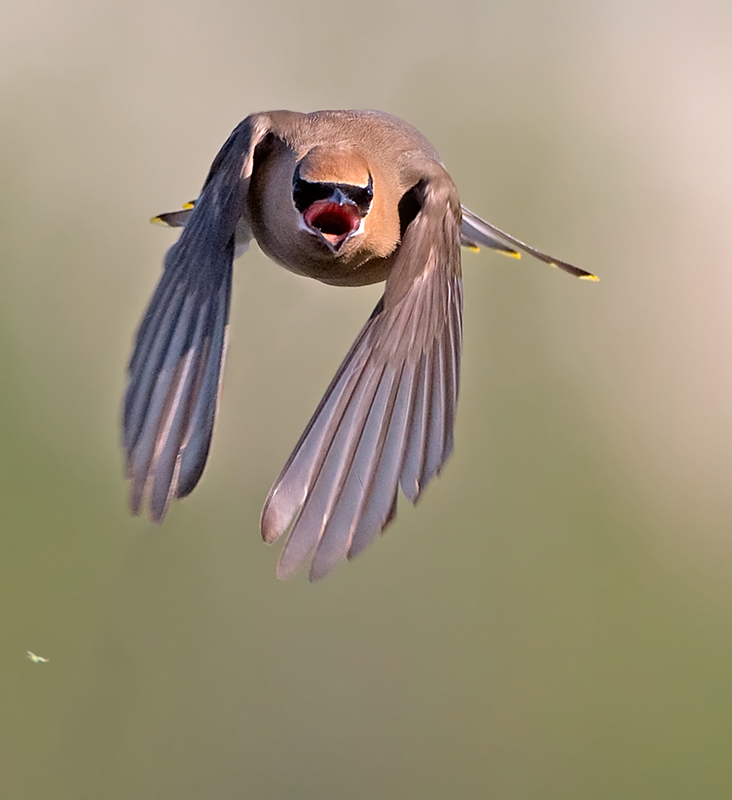 Bird audio provided by The Macaulay Library of Natural Sounds at the Cornell Lab of Ornithology, Ithaca, New York. 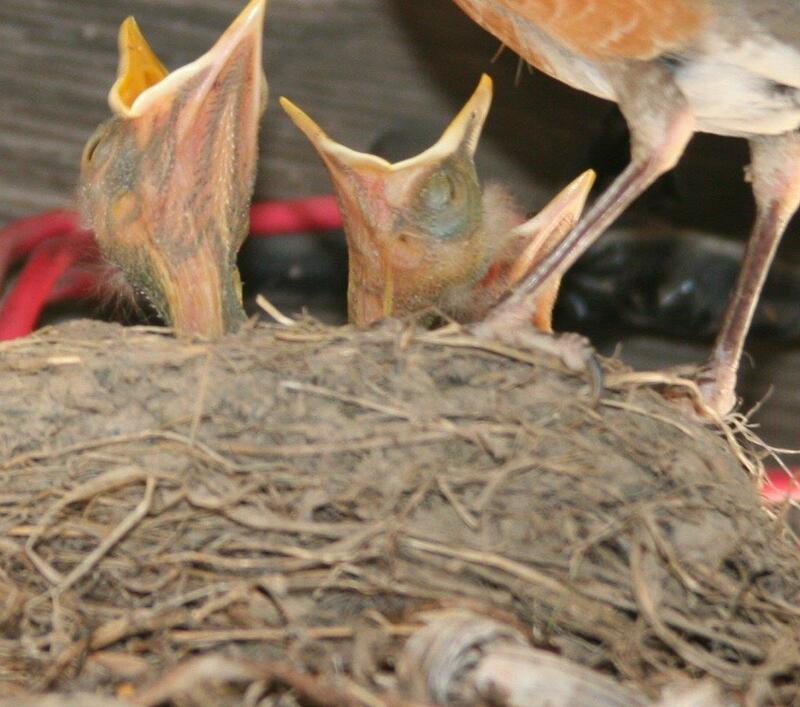 American Robin “whinny” and Cedar Waxwing recorded by G.A. Keller.